For a limited time, you can get a FREE $50 Amazon Gift Card when you purchase the Fitbit Iconic smartwatch for its current price of $299. You have to manually add the $50 gift card to your shopping cart, along with the Fitbit obviously. Amazon is making us work for our freebies 🙂 The Ionic averages 4.2 out of 5 based on 1460+ customer reviews. PS: I have began my smartwatch adventures after years of resistance (because I didn’t want to be a frustrated alpha tester) with the Fossil Q Explorist (FTW4004; 3rd Gen). Comixology has a lot of sales like most retailers. Most of them you can find by simple browsing the pages, but a few of them have coupon codes which are not advertised on their website. One such coupon is buried in a long Black Friday email from them. 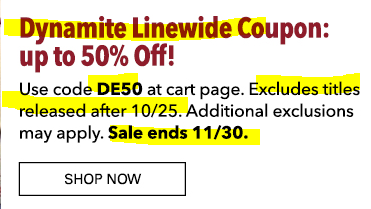 The coupon is for Dynamite comics, using coupon code DE50 in the shopping cart, you can get up to 50% almost everything. Titles released after 10/25/17 are excluded, and there might be some other exclusions. The credit card company bromance with Uber continues with another offer, this one from Citibank. If you sign-up for a new Uber account (not existing customers), and use your Citibank credit card when prompted for a credit card, and use promo code CITICARD, you will receive $10 off each one of your first two riders with Uber. Terms and conditions apply as usual. If you want to install various smart home services to your home and don’t know how to do it, or don’t have the time to do so, Amazon has a new limited time offer, you get an automatic 20% off discount in the shopping cart (no coupon code needed) when you purchase select Smart Home services. The list of available options and more details are shown on their website. 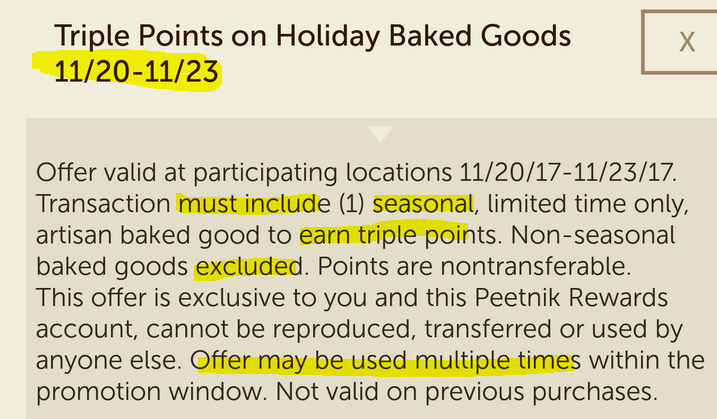 At Starbucks brick and mortar stores, between November 21-27 in 2017, if you make a single transaction purchase of $20+, you will receive 60 Bonus Stars. 60 bonus stars are 48% towards a reward. You will also receive the standard bonus stars on the purchase amount (40+ regular stars on a $20+ purchase) so you are almost getting a full reward with this purchase. Strategically this is a good way to stock up on coffee and tea and gifts and coffee mugs and such. Comparing this with “Double Stars”, purchases of $30+ would benefit from Double Stars over this. For purchases under $30, this offer wins. Note that the $20 minimum must be reached BEFORE taxes and other mandatory local or federal fees (eg CRV) and tips. If you are looking to buy a new Chromebook with a touchscreen, and a new Android tablet, and you’d prefer your Chromebook to have a 360-degree hinge, $349 can get you all three at the moment because the ARM-powered Samsung Chromebook Plus is now on sale as part of the Black Friday festivities for $349 at amazon.com and some other authorized Samsung dealers. I just purchased this, it arrived earlier today, and I’ve already posted a detailed and useful Text and Pictures Unboxing of the Samsung Chromebook Plus. So if you are curious about it, stay tuned to the blog as I share my findings! AmazonFRESH delivers locally and quickly, it is fresh food after all. 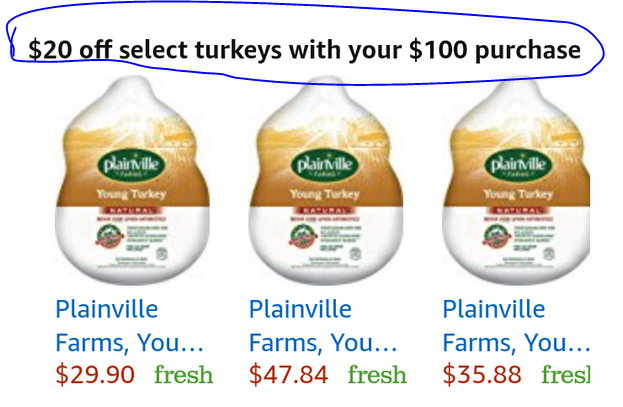 If you haven’t bought a turkey yet, AmazonFRESH is running a promotion that gets you $20 off the price of a turkey (select options available over there) when you make an order total of $100+ there. You don’t have to spend $100+ on turkeys, your order total (of everything you buy) has to be over $100. AmazonFresh requires a Prime membership. Fresh is on top of that, a $15/month membership which you can start/stop at any time. I believe they have a 30-day free trial for new members. The offer expires Sunday night 11/19/17, so don’t delay! Prime Pantry is a different kind of an Amazon beast. They ship products you buy in a single box, and that box is bundled up by your nearest Amazon Prime Pantry facility. So items you buy must be in-stock at order time at that particular place. They won’t ship Pantry overs from all over the country like they do with regular Amazon orders. For a limited time, to encourage holiday shoppers, Amazon launched a $1 off coupon towards Prime Pantry shipping. Use coupon code HOLIDAYSHIP to drop the Pantry Box fee from $6 to $5. One dollar may not be glamorous but it has a very good use. Prime Pantry has another Buy 5 eligible items, get $6 off your order total. This essentially offsets the shipping fee, but if you combine it with the coupon mentioned above, you actually get a $1 off discount on your order total, in addition to the discount. It is important to note that you don’t need to buy five different eligible items to get the $6 off promotion. You can get five units of the same item, or two of this and three of that, or any combination of eligible products that is five units or more. AmazonFRESH has a new doorbuster! If you are placing an order anyway, you can add to your order your choice of 25c (that’s a quarter, $0.25) of Glad products. Two of the participating, a 5pk of 24oz medium storage containers or a 40 count of freezer bags. I’m not sure how many of these you can buy as the sale price. In order to buy these, you have to be an AmazonFresh subscriber. In order to be that, you must first be an Amazon Prime subscriber. AmazonFresh is now a month to month service, Netflix style, you pay $15 per month. Previously they had an annual membership of $300 like AmazonPrime but that’s gone now. The previous $300 Fresh subscription included Prime I believe, but you had to prepay it all. This is a great deal! Three great scifi movies (okay, 2.5 since Matt Damon is in one of them), the Blomkamp³ Limited Edition Collection on blu-ray is on sale again, going for $13 at amazon.com with up to five sets per customer at this sale price. Free shipping for Prime members or with a $25+ order. This set is encased in a 64-page digibook, with additional features on District 9 and Elysium found on the discs. Chappie has an hour of extras, including an alternate ending. The set averages 4.6 out of 5 based on 141 customer reviews. It is in the list of things to get when I place my next Amazon order! Nom-nom! This is a massively epic Starbucks Reward member promotion! This showed up in the Starbucks Android app earlier today while I was in-store. If you load $20 or more using the Starbucks app, and pay for it using Chase Pay, you will receive 300 bonus Starbucks rewards points (stars). HOW LONG DOES IT TAKE TO GET THE BONUS STARS? I did not babysit the offer, I was driving around and running errands, but 1.5 hours after the $20+ load with Chase Pay I checked my Starbucks Rewards History and there they were 300 Bonus Points! 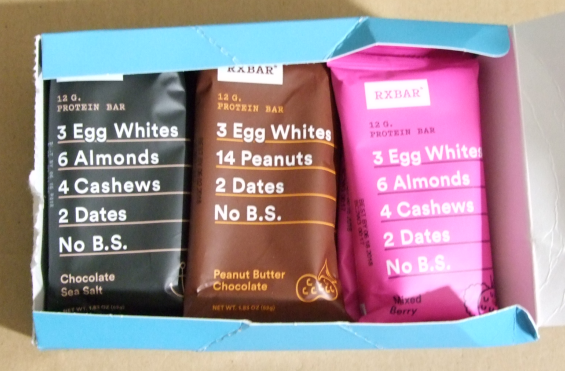 UPDATE 11/9/17: the coupon code rxbarnew17 has been extended until 11/30/17 for this promotion.